As I look back through blog posts from Spring time in previous years, I notice a repeated theme – Crabgrass, Knotweed and Wild Garlic. Did you apply a preemergent herbicide this year and still have crabgrass? There are many different reasons you may have break through from a preemergent herbicide application. 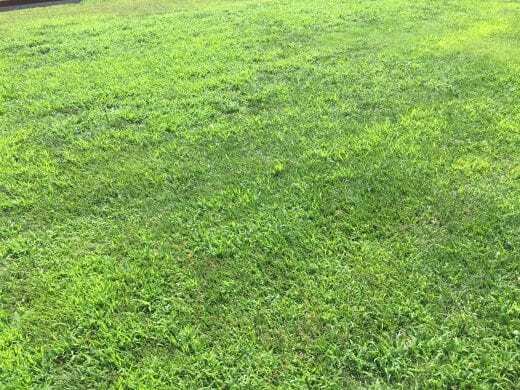 If the turf is stressed and thin, along with over use of the turf and misapplications are some reasons you may be seeing crabgrass pop-up across many turfgrass areas. Good news! There are some postemergent herbicide options out there for crabgrass control. 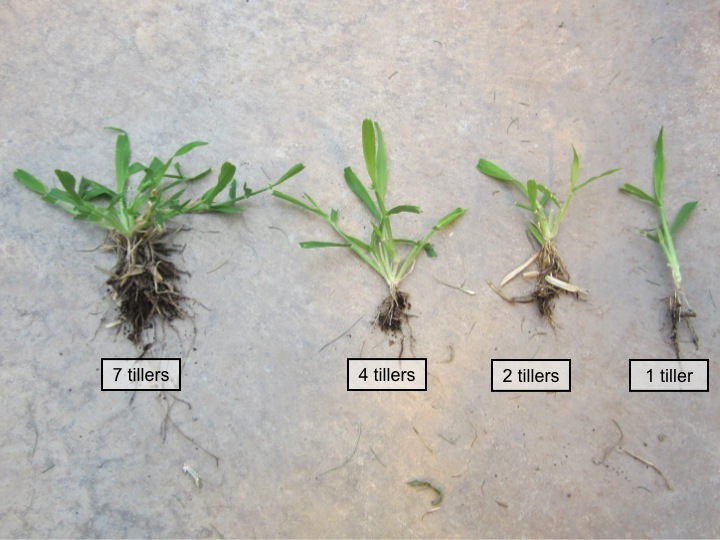 But depending on how big or how many tillers the crabgrass has will help you determine what product to use. First, determine the size or stage of crabgrass you have present. The smaller the crabgrass the easier it is to kill it. The tillered crabgrass may take more than one application and higher rates so make sure you check the label for correct application rates and intervals. dithopyr – Can provide control to crabgrass up to one tiller stage. This product also has preemergence activity. quinclorac – Can be applied on most cool- and warm-season turfgrass species. This product controls crabgrass when it is one tiller or smaller or when it has four or more tillers. mesotrione – Can be effective for crabgrass control but in most cases will take two applications at two week intervals. 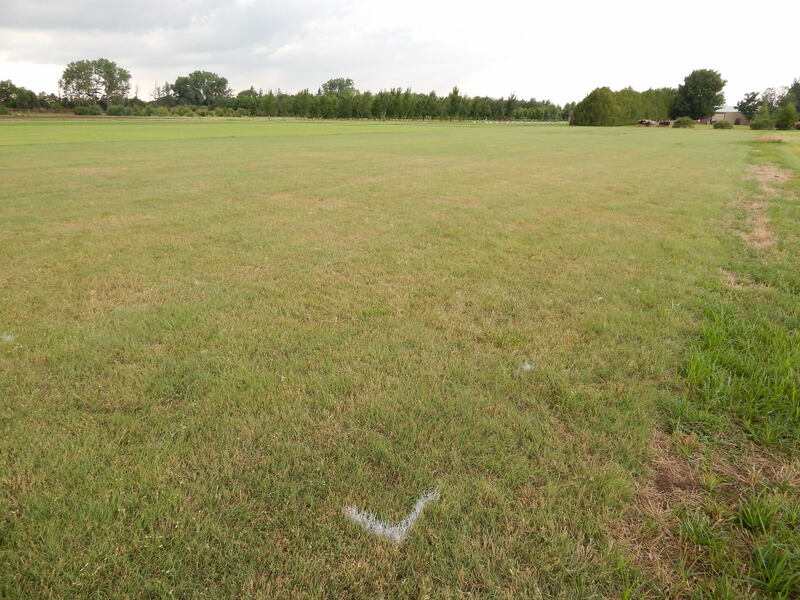 The label also states that applications must be made before the four tiller crabgrass stage. topramazone – Similar to mesotrione, this product will require two applications at three week intervals. Use at higher rates on crabgrass that have greater than one tiller. fenoxaprop – Are very effective in controlling crabgrass. Label states that this product can be applied to annual grasses up to the five tiller stage. Remember not to tank mix with products that contain 2,4-D, antagonism can occur. As one last reminder, do not apply post emergent herbicides when temperatures are greater than 85 deg F. This will increase the risk of turfgrass injury. 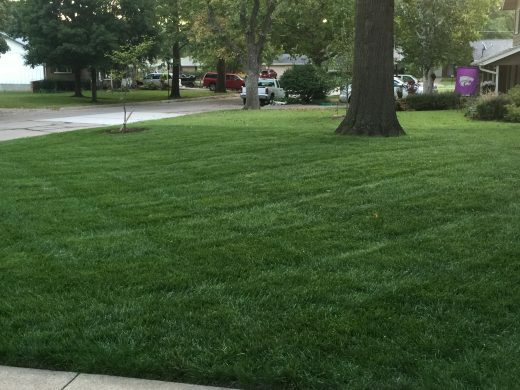 Earlier I posted the Homeowner Step-By-Step Guide to Cool-Season Lawns in Kansas so I decided that it would be good to go ahead and get the warm-season lawn calendar out there for everyone that is manageing zoysiagrass, bermudagrass. Apply crabgrass preventer (Or maybe even a little bit sooner this year) when redbud trees are in full bloom, usually in April. The preventer needs to be watered in before it will start to work. One-quarter inch of water will be enough to water in any of the products mentioned in this calendar. 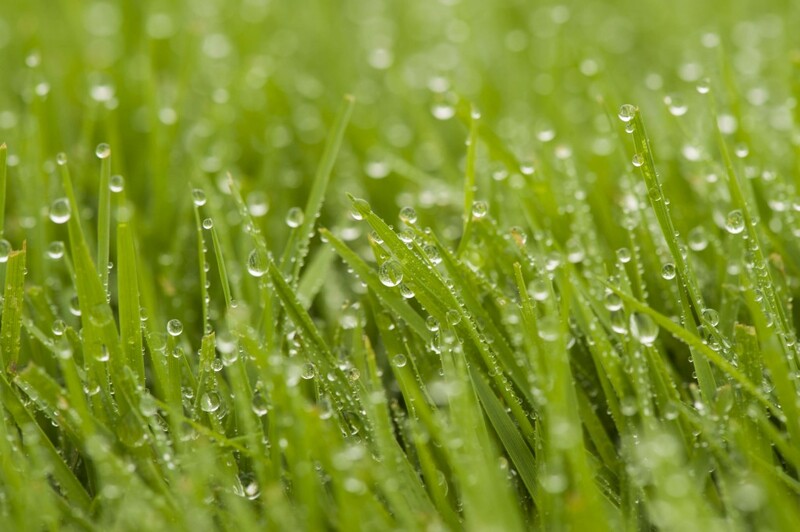 Remember that a good, thick lawn is the best weed prevention and may be all that is needed. Well this is a trick question because there is no correct answer for it. 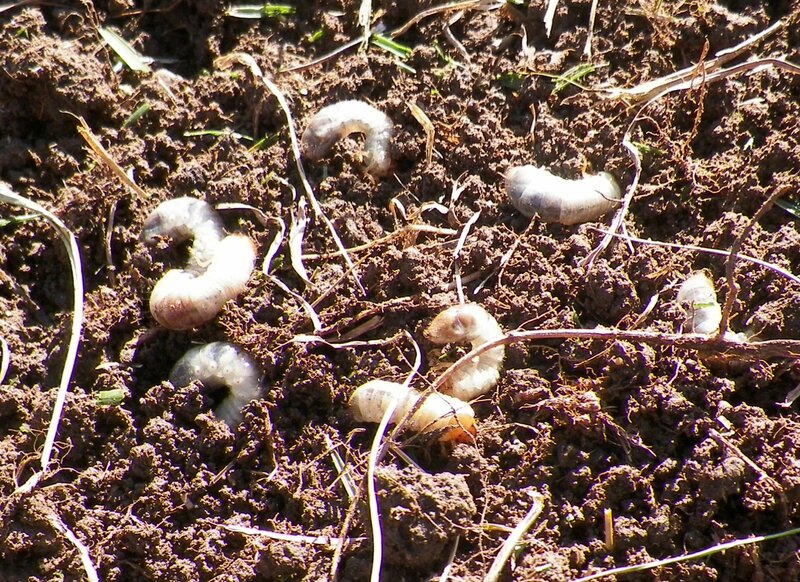 Here are some of my thoughts on preemerge timing. As soon as that first warm front comes through everyone gets excited and ready to work in their lawn. I have even heard the comment that spring and summer are going to come early this year. Are they right? I don’t know but it is something to think about. But as soon as we get excited about the warm weather we have another cold snap. So we got all excited and talked about weeds germinating early and needing to get out our preemergence herbicides because the forsythias are blooming. But what happens when it gets cold? 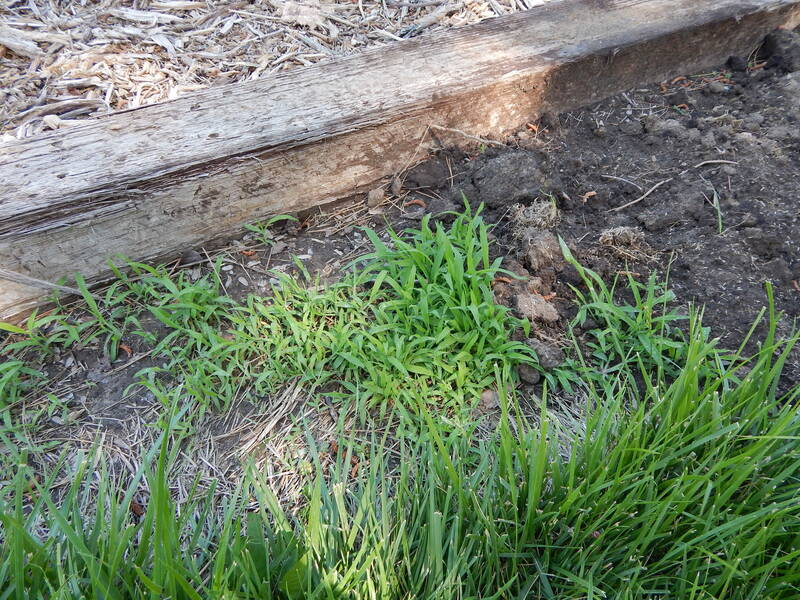 Any crabgrass that “might” have germinated is now dead because of the cold temperatures. So this brings up a lot of discussion between myself and some colleges. Here are just some of the questions we are asked and a couple of comments. Why do we recommend around April 15th for most of Kansas to put out a preemerge in our lawns? Should we use soil temperature at 1″ to predict when to put out preemergent herbicide applications? -Soil temperatures are a great way of determining when to apply your preemerge herbicide. Scientists say when soils reach a daily average of 55 deg F for about 5 days at a 1″ soil depth then it is time to put out your preemerge. Well say you go out and measure your soil temperature at 1″ you are not going to get a daily average, you are getting a single point in time. Does that really represent what is going on? What if you are maintaining many different properties. It is not practical to obtain that information. Good news is that KSU has a website (http://mesonet.k-state.edu) that you can click your closest weather station and get daily maximum and minimum soil temperatures where you can then calculate a daily average. Bad news it only give you a 2″ or a 4″ soil temperature. But using the 2″ soil temperatures are going to give you a better idea of the daily averages then going and taking one measurement. The forsythias are blooming but my redbuds aren’t. Do I still put my preemergent herbicide out? – This is called phenology – the study of cyclic and seasonal natural phenomena, especially in relationship to climate, plant and animal life. Many people believe that when the forsythias are blooming then crabgrass is germinating. That is not 100% true. When forsythias are in full bloom then we need to be getting “ready” to get our preemerge applied. 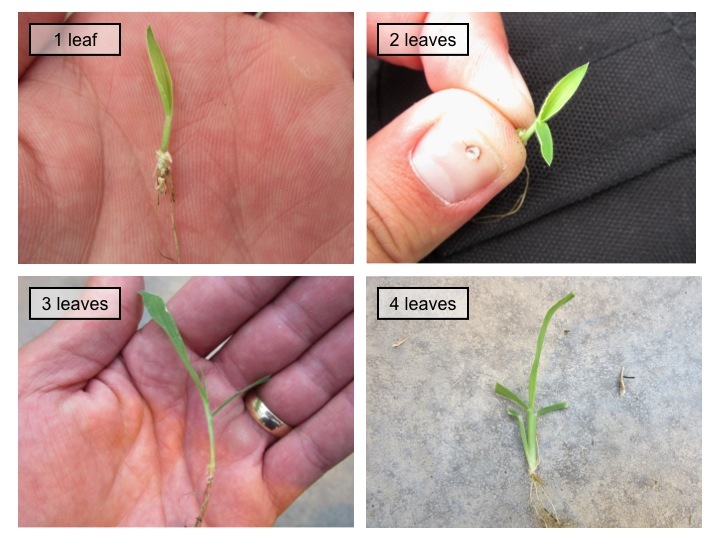 Even though we see that this is a good indicator, Dr. Fry and others reported in a study that ornamental plant flowering is not always a good way to predict crabgrass germination and emergence. (Fry, J., S. Rodie, R. Gaussoin, S. Wiest, W. Upham, and A.Zuk. 2001. Using flowering ornamentals to guide application of preemergence herbicides in the Midwestern U.S. International Turfgrass Soc. Res. J. 9:1009-1012.) 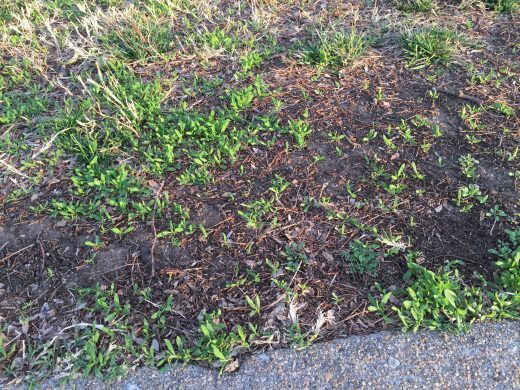 There are some things to consider when utilizing phenology for crabgrass germination and emergence. Not all forsythias will bloom at the same time. It determines where that plant is located in the landscape. There are micro climates in the landscape. Think about plants located in roadway medians. They are typically warmer due to cars and the concrete and asphalt in close proximity. The same thing goes with crabgrass germination. Crabgrass will germinated sooner in areas that are warmer, for example (next to sidewalks, bare ground, etc.). I have heard about growing degree days to predict crabgrass germination. What is that? – Growing degree days (GDD) use air temperatures instead of soil temperatures within a formula to get a cumulative number of growing degree days. Using base 50 deg F, once you get to about 200 GDD then crabgrass will start to germinate. Don’t want to calculate GDDs, don’t worry there is a website that will do it for you. http://www.gddtracker.net Just enter your area code and click on crabgrass germination on the right side and it will give you the total GDD. It will also show you a prediction for the next couple of days too. GDD do not go backwards, they only accumulate. Today is March 14th so using the calendar model for Manhattan we would not put our preemerge out until closer to April 15th for Manhattan. With this method we would assume the 1″ soil temperature is higher but we are not to the 55 deg F mark yet. So we are getting close to putting out our preemerge herbicide. In my back yard my forsythias are blooming. So that means if I am using the phenology method I need to be getting ready to apply my preemergence. Lastly, using the GDD model we are at 85 GDD. So I still have some time but getting close. Remember though that you can get more than one GGD in one calendar day and if I look at the future (prediction on the GDD Tracker website) on March 20th Manhattan will be at 111 GDD. So just in 6 days we would have gained 26 GDD. Now these rules, concepts, ideas are not bullet proof but it is something to think about when planning your lawn care program. There is not magic date for anything that you do to you lawn. You need to make sure you keep up with the temperatures, soil temperatures, precipitation, etc. The more you know what is going on with your turfgrass the better you will be able to predict crabgrass preemergent applications. Use more than one method. This is going to give you the best idea of what to do! Now by this weekend we are going to get a little warmer but again looking at the 10 day forecast it might get cold again…. Just something to think about. I hope this got you thinking as a turfgrass manager and how this is going to help you choose products if you are going to have to get applications out earlier or even later after crabgrass has emerged. When I start talking about pre-emergent herbicides this quote from Benjamin Franklin always pops in my head. Although, Ben was giving fire-fighting advice to Philadelphians because fires were a dangerous threat at that time it does apply to many things we are dealing with right now, including spreading wild fires. (I won’t comment on that because I have no idea how to manage wild fires.) But I will talk about Pre-remergent herbicides. Pre-emergent (PRE) herbicides prevent summer annual weed (For Example, crabgrass, goosegrass, annual sedges, and spurge) seeds from developing into mature plants. The reason we use PRE herbicides for summer annual weed control is because these summer annuals come back every year from seeds. So if we can stop the seed from growing then we don’t have to deal with the weeds later in the season. For all that don’t know how a PRE herbicide works here is a very short explanation. They do not keep the seed from germinating but kill the young germinating plant. With few exceptions they have no effect on existing plants, so they must be applied before germination. But like in everything in life there is an exception. 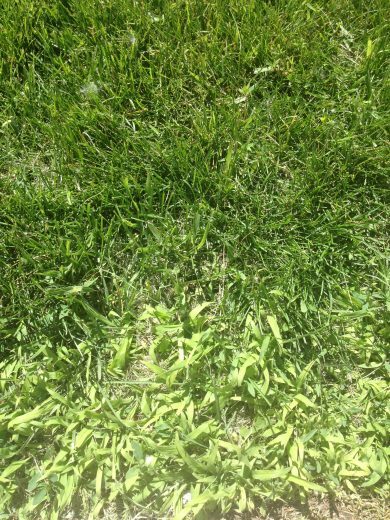 Dithiopyr can kill crabgrass as long as it is young (two- to three-leaf stage, see photo below of three leaf crabgrass) and still have some residual for continued PRE activity. It doesn’t last as long as some of the other PRE herbicides but there is flexibility if you miss your window of opportunity to apply. So when do I put out the PRE application for summer annual weed control? Well, it depends on many things. What summer annuals you have? Where are you located in Kansas? 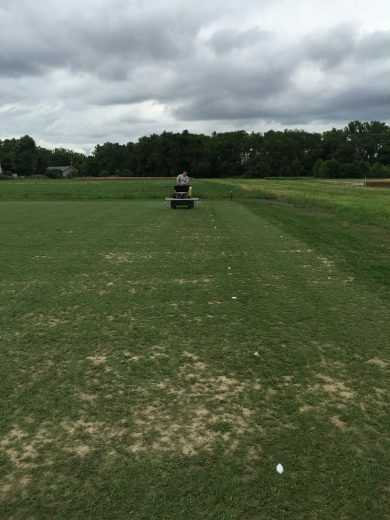 Many times turfgrass managers center their PRE applications around crabgrass germination. 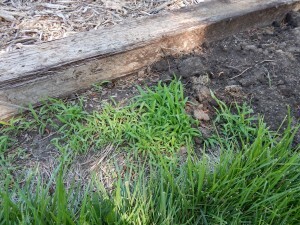 Crabgrass “typically” begins to germinate around May 1 or a little later in KS. 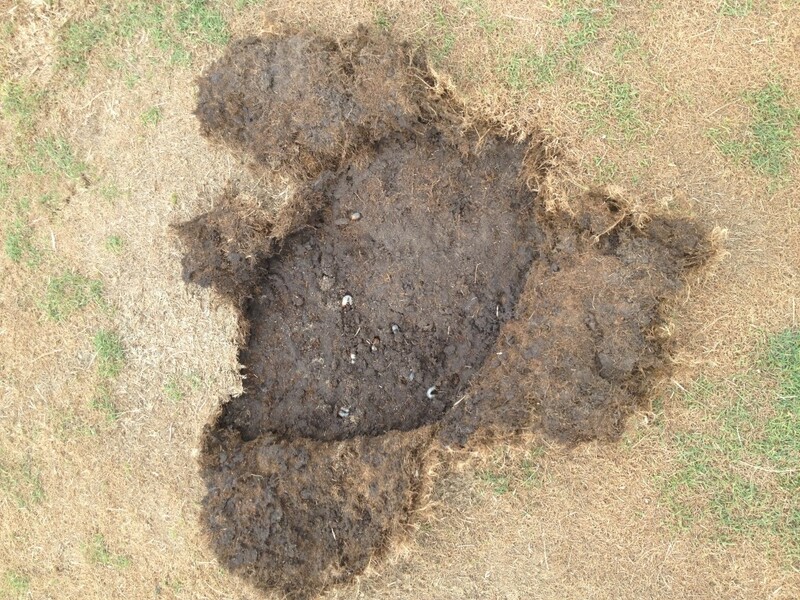 April 15 is a good target date for applying a PRE because it gives active ingredients time to evenly disperse in the soil before crabgrass germination starts. The April 15 target works well for most of the state, but for southeast Kansas April 1 is more appropriate, and for northwest Kansas May 1 is best. Additionally, weather varies from one spring to the next (As we can see this year where it is getting warmer earlier! ), and with it the timing of crabgrass germination. Some turfgrass managers base their PRE application around the bloom of the Redbuds but other ways can be used as well. Crabgrass germinates when the soil at approximately 1 cm deep reaches 55° F. So watch your soil temperatures to see when the soil consistently reaches 55° F. Here is a great website that will give you soil temperatures for your area. PRE herbicides do not last forever once applied to the soil. Microorganisms and natural processes begin to gradually break them down soon after they are applied. If some products are applied too early, they may have lost much of their strength by the time they are needed. Additionally, PRE herbicides have different half-life, Koc, water solubility, and vapor pressure. This can determine how fast microbial, chemical and physical decay occurs along with infiltration, volatilization, leaching, and run-off. Therefore, not all PRE herbicides are created equal. Here is a list of PRE herbicides, the weeds they target and some concerns that you might want to know before applying. 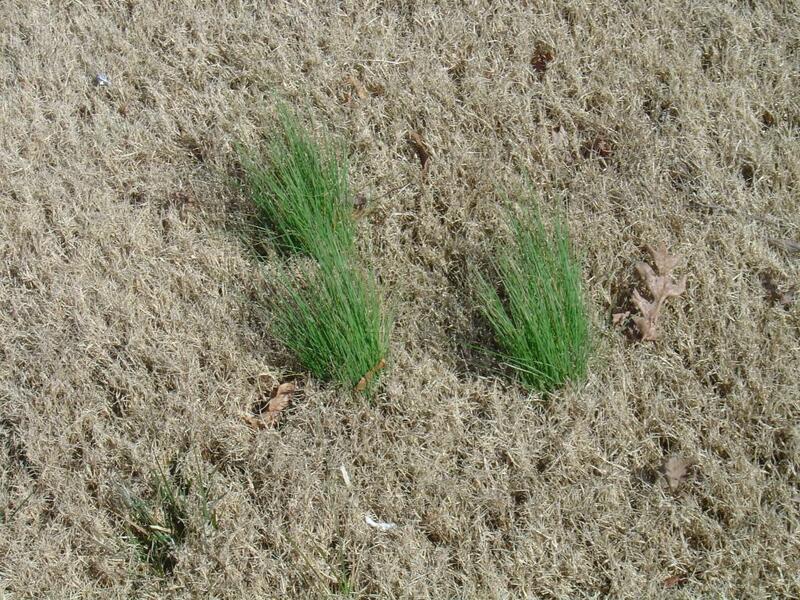 benefin summer annual grasses, annual bluegrass, some-small seeded broadleaves Do not use on golf course greens. prodiamine summer annual grasses, annual bluegrass, henbit, chickweed, spurge, some-small seeded broadleaves Only apply to well established turfgrass. bensulide annual grasses, some broad-leaves Do not use on putting greens composed of > 50% Poa annua. florasulam broadleaves, dandelion, prickly lettuce, clover Packaged with Dimension 2EW, florasulam great cool temperature activity, Prevents flowering in some broadleaves (dandelions). dithiopyr summer annual grasses, annual bluegrass, yellow-woodsorrel, some small-seeded broadleaves PRE and early post-emergence activity on crabgrass. 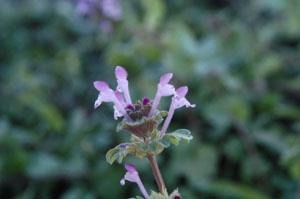 isoxaben broadleaves such as chickweed, henbit, spurge, plantain, others Tank-mix with a grass herbicide for broader spectrum. 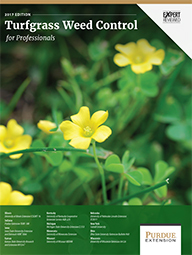 pronamide annual bluegrass, perennial ryegrass, other grassy & broadleaf weeds. Do not use on cool-season turf. Restricted use pesticide. pendimethalin summer annual grasses, annual bluegrass, yellow-woodsorrel, some small-seeded broadleaves Not recommended for turf severely thinned due to winter stress. Split applications can be made for extended control. metolachlor annual bluegrass, crabgrass, sedges Do not use on cool-season turf. simazine summer annual grasses, annual bluegrass, henbit, chickweed, spurge, some-small seeded broadleaves Do not use on cool-season turf. ethofumesate annual bluegrass, annual grasses, some annual broadleaves See label for reducing annual bluegrass in cool-season turf. oxadiazon summer annual grasses includinggoosegrass, annual bluegrass, some-small seeded broadleaves Ronstar G and Oxadiazon 2G are only formulations labeled for use on cool-season turf. indaziflam annual grassy and broadleaf weeds in turf Do not use on cool-season turf. oryzalin summer annual grasses, annual bluegrass, some-small seeded broadleaves Do not use on cool-season turf except tall fescue. 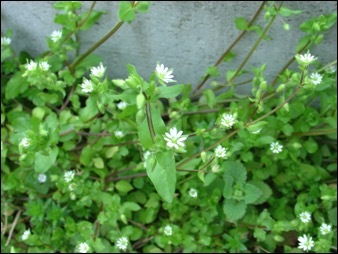 dimethenamid bittercress, crabgrass, goosegrass, purslane, sedges, spurge On golf courses: Can be used on cool- and warm-season. 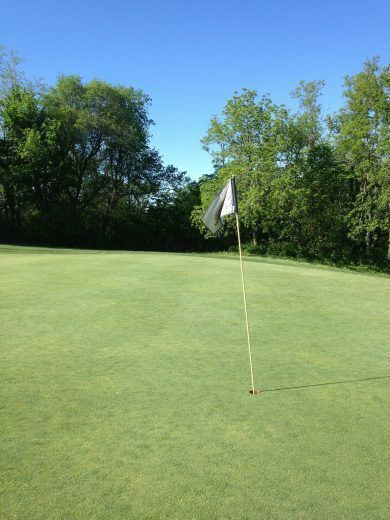 Other turf areas: Warm-season only. 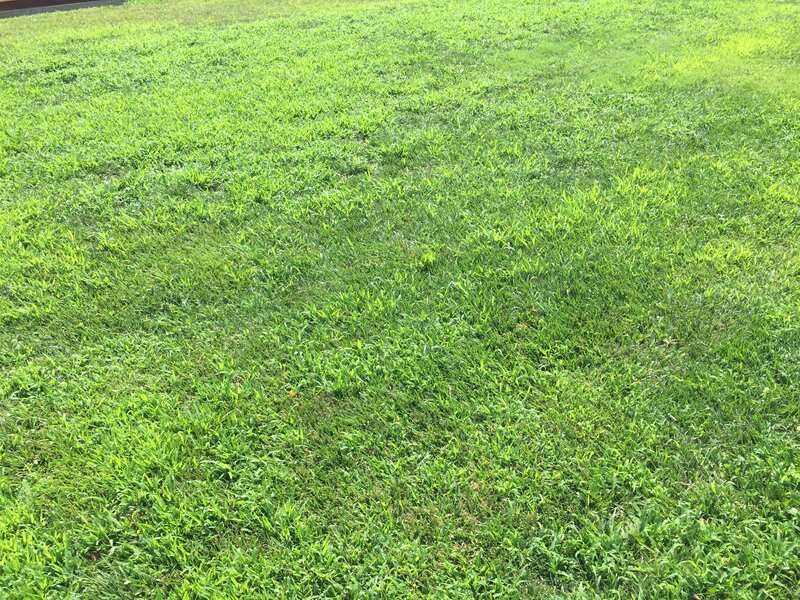 siduron crabgrass, bermudagrass (suppression) Does not control goosegrass or annual bluegrass.